The Rocket® Amniocentesis & CVS Set has been developed with the assistance of a leading UK Fetal Medicine Unit and is the result of a program of continuous product development and design improvement. HIGH RESOLUTION ECHO BEVEL DESIGN to give smoother, easier tissue penetration with pinpoint ultrasound definition of the needle tip in either amniocentesis and CVS. NEEDLE MARKINGS and depth marker help ensure correct positioning and minimise the risk of over insertion. INTEGRAL TUBING SET – purpose designed 10cm extension tube set is included in every pack for simple, safe attachment to the needle without the need to find costly off-the-shelf items which cannot offer guaranteed compatibility and security. 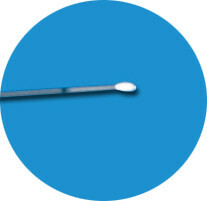 CE MARKED, PURPOSE DESIGNED DEVICE, designed specifically for amniocentesis and transabdominal chorionic villus sampling which avoids the risks of inappropriate use of non specific generic devices.